A new report released by the Australian CSIRO further confirms the most likely location of the missing flight MH370 is in the new search area identified by a review conducted in November 2016. Even though the active underwater search for Malaysia Airlines flight MH370 has stopped, researchers continue to pinpoint the most likely area where the Boeing 777 went down. The new report published by the Commonwealth Scientific and Industrial Research Organisation (CSIRO) features data and analysis from ocean testing of an actual Boeing 777 flaperon. This added an extra level of assurance to the findings from earlier drift modelling research, which was conducted using replicas of the a flaperon found on La Reunion Island. 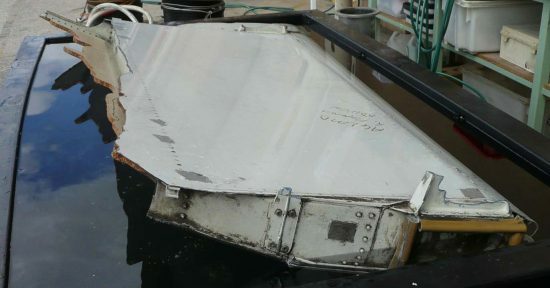 An actual B777 flaperon was sourced and cut down to match photographs of MH370’s flaperon, and then testing was done in the waters near Hobart. Knowledge of how the flaperon, and the other parts of MH370 that have been found, respond to wind and waves were combined with the currents of the Indian Ocean. CSIRO combined both in a model to simulate the drift across the ocean, to be able to compare the results with observations of where debris was and wasn’t found, in order to deduce the location of the aircraft. The new report’s findings support the conclusions of the first report. It indicates that the most likely location of MH370 is in the new search area identified and recommended by the First Principles Review report, and most likely at the southern end of that, near 35 degrees South. “We cannot be absolutely certain, but that is where all the evidence we have points us, and this new work leaves us more confident in our findings,” CSIRO states.